Deb's Cup of Tea: Better? One of the few souvenirs from Disneyland I allowed myself was this antenna topper. I'm thrilled with it. 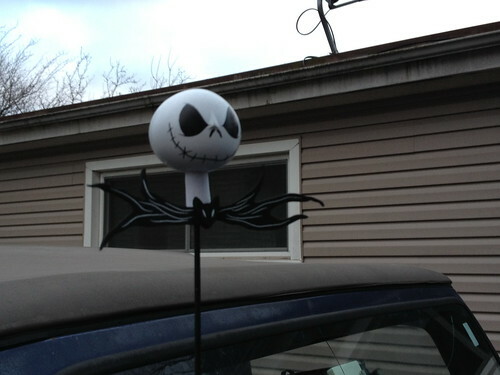 it matches my personality and really, who wouldn't want Jack Skellington, with a smirk, stuck on your antenna? 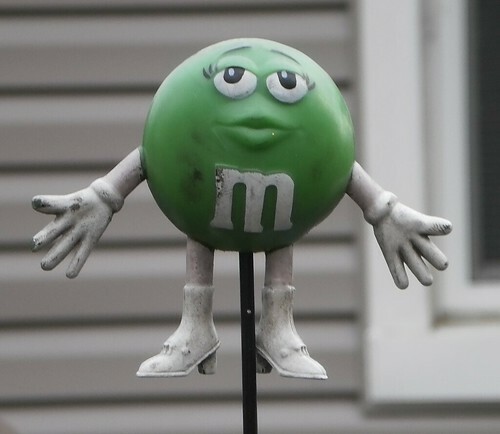 I'm going through my Flickr photos and here is Ms. Green, the antenna topper Jack replaced because she was stolen. I'd had her pop off my antenna a few times and she was more than a little worse for wear by the time someone purloined her. I really like her. Jack's fantastic, but he's not green or chocolate. Ms Green is cool but Jack is...JACK!